Effectively treats hot flashes and has no side effects compared to medication. Improves carpal tunnel syndrome 2:1 over steroid medication. Effective as standard anti-nausea medication typically used in chemotherapy. Aids physical therapy and replaces the need for medication. Increases saliva production at 3 and 6 months after treatment. 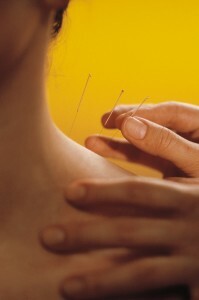 Dr. Anne Hermann has been using acupuncture for cancer patients successfully for years, both in her private practice and at Moffitt Cancer Center in Tampa, where she was the medical acupuncturist in the Integrative Medicine Department. As an Internal Medicine physician and holistic medical practitioner, her goal is to help patients tolerate their treatments as well as possible.